The Ann Yann Pool Evacuation Sheet - For Safe Transfer. 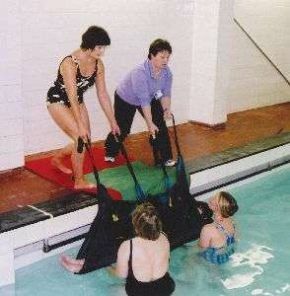 This emergency pool evacuation sheet is used in the event that a swimmer becomes incapacitated e.g. by epileeptic seizure.using the approved technique, a safe transfer can be achieved. 1860 x 1320mm (73 x 52").